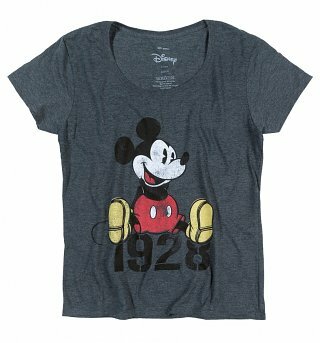 Customer Reviews of "Women's Charcoal Marl Disney Mickey Mouse 1928 Slouchy T-Shirt"
Comfy and cool. Looking forward to wearing it. Comfortable with great picture. My only negative would be neck a little lower than my personal preference but I love this tshirt. Great t-shirt love it, lovely fabric too!